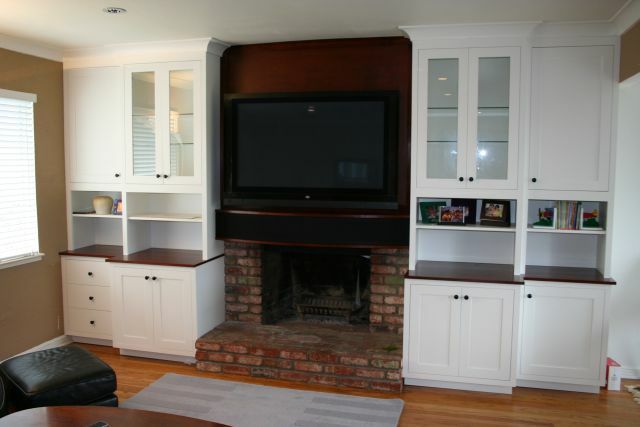 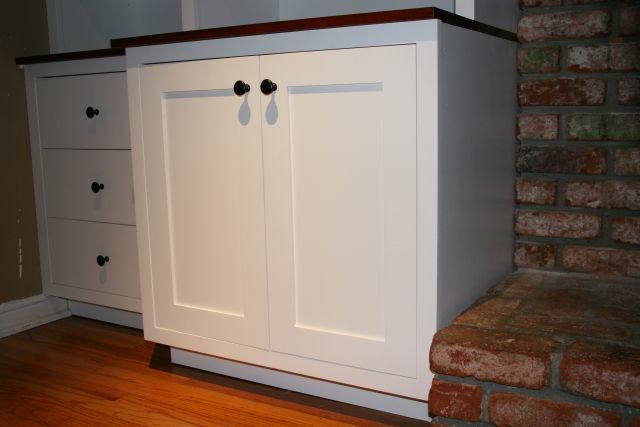 The entertainment center had to work around an existing fireplace. 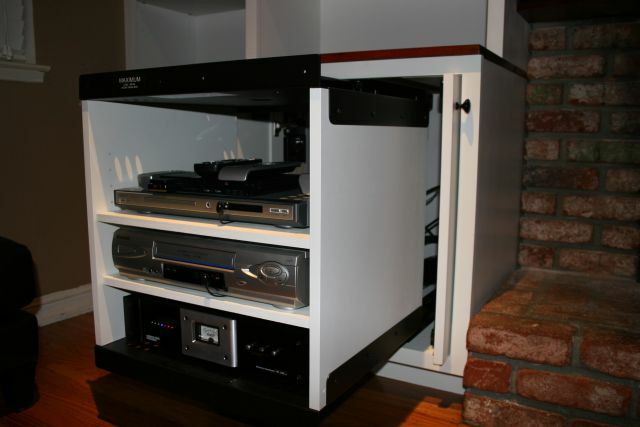 Click on arrows to see more pictures. 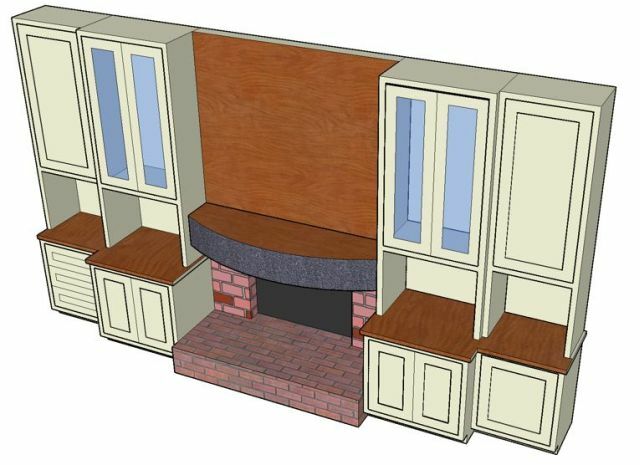 This was the design for the cabinet system including a panel for LCD TV mount and wiring. 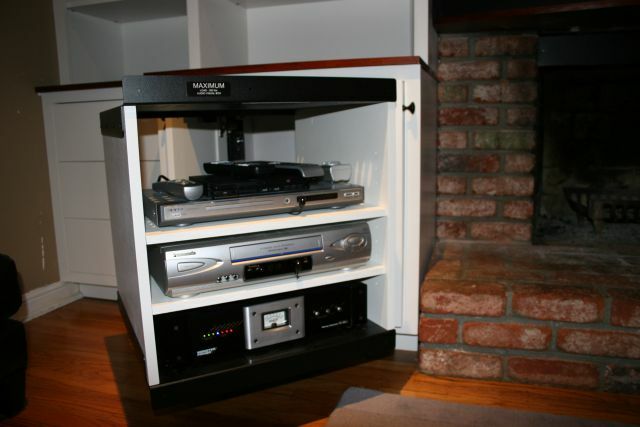 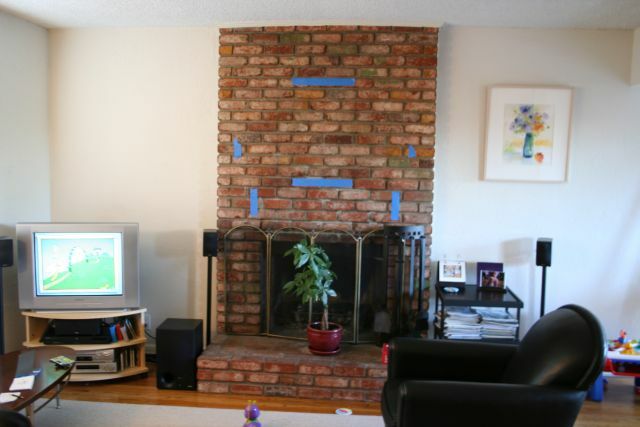 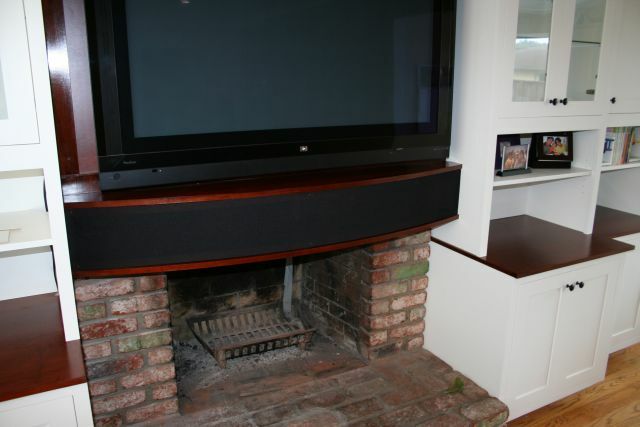 The LCD TV is mounted over fireplace, AV and speakers are hidden away. 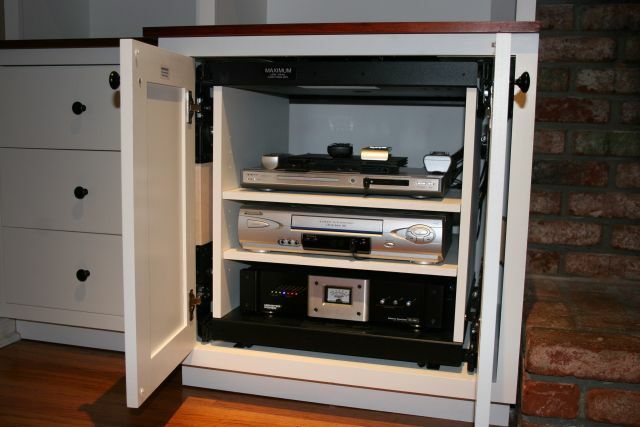 The inside of the cabinet also rotates for easy access to the back of the equipment.